It’s official, I’m jumping on the zucchini bandwagon. And it’s not that surprising, they’re so easy to find and really nice when they are in season and the subtle flavor lends itself to pretty much anything. 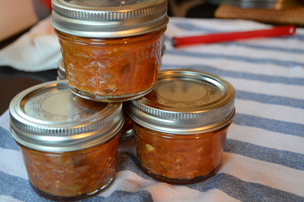 I developed this recipe so that I could leave a yummy home-baked snack for some friends that were coming home from a trip. Since I had never made savory muffins before, I found that the batter reacts quite differently when you don’t have sugar in it. I made them a few times, and tried various things — and this is what I ended up with. 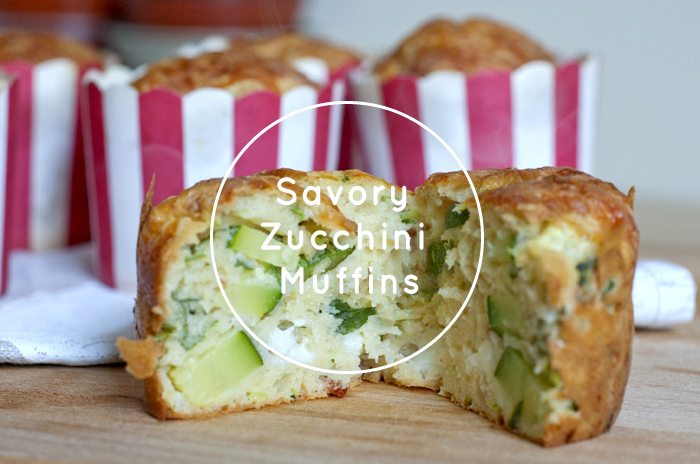 I’d love to hear any suggestions on tips and tricks for savory muffins, this one uses cream and has a slightly moist finished texture, but of course the moisture content of the zucchini really plays a part as well. 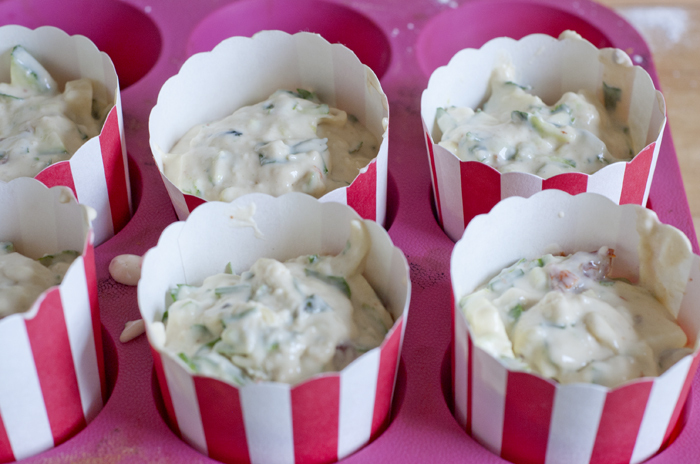 If the batter feels too watery to your baker’s instinct, trust it and add more flour! 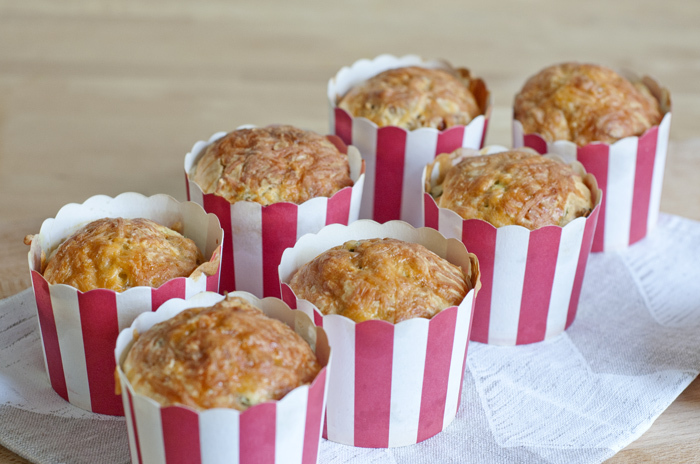 I found these to be perfectly seasoned with the cheeses and sundried tomatoes inside, but if you’re using less salty ingredients you might want to add some salt to the mixture. Preheat the oven to 180C/360F. 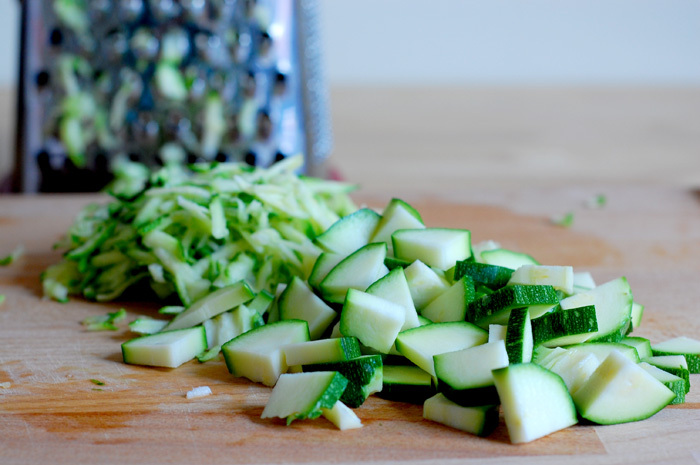 Grate and chop the zucchini into chunks. I wanted big chunks in mine so I only grated half and kept the other half for chunks. 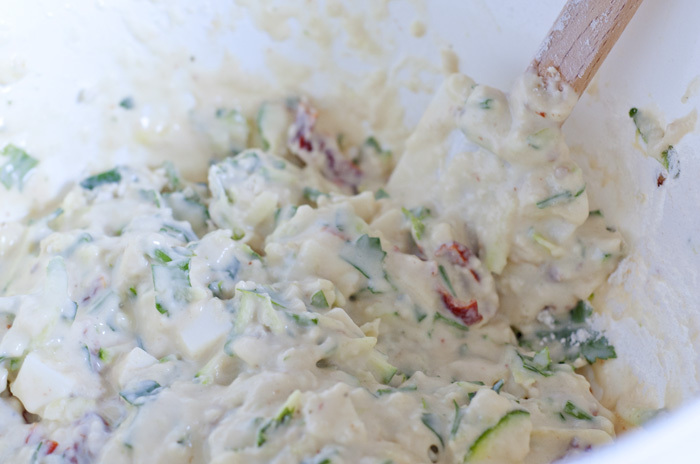 The bits around the zucchini tend to be a little fudgier (think frittata/quiche), so if you prefer a more even texture you can grate more of the zucchini or even leave out the chunks altogether. Prepare all the other ingredients. 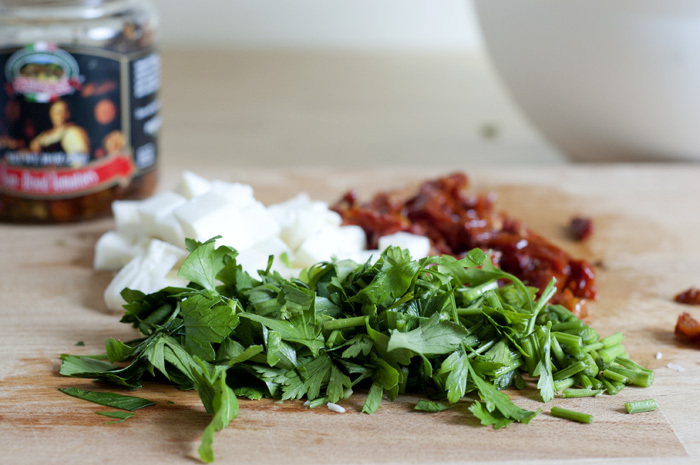 Chop the cheese into about 1cm cubes and the sun-dried tomatoes into thin strips. Roughly chop the parsley, stalks and all. 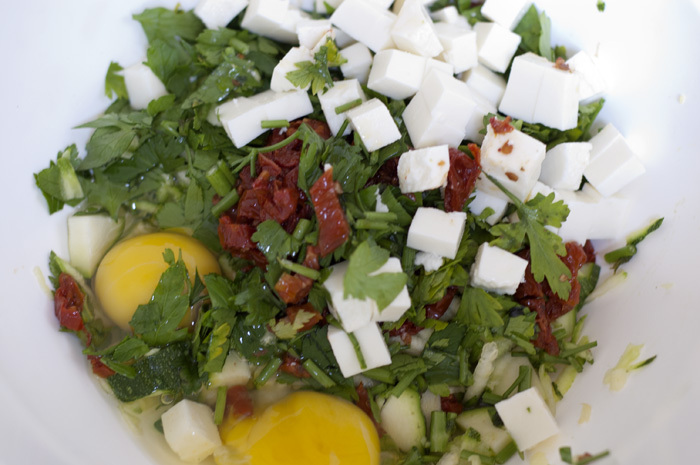 Place everything you chopped into a bowl, and add to it the wet ingredients. Break the eggs and add milk and cream, and mix until everything is evenly combined. Sieve the self raising flour into the mixture and stir briskly with a spatula. As soon as the mixture looks well combined, stop! It should look nice and chunky, and slightly thicker than pancake mix. Line the muffin tray with muffin liners, I used tall paper cases which turned out great. Fill the cases evenly, leaving room for the cheese. 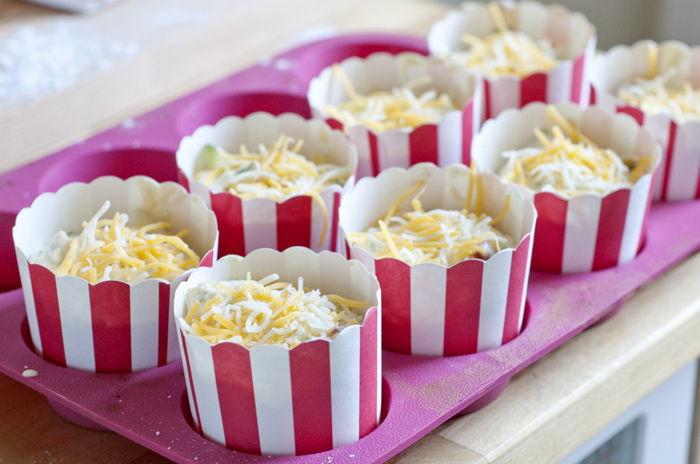 Place a small mound of grated cheese on each muffin and place in the oven for 30–40 minutes. 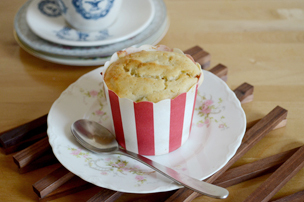 The muffins are done when they puff up nicely and the tops are golden brown. You can check with a skewer but the cheese in there is sometimes confusing! 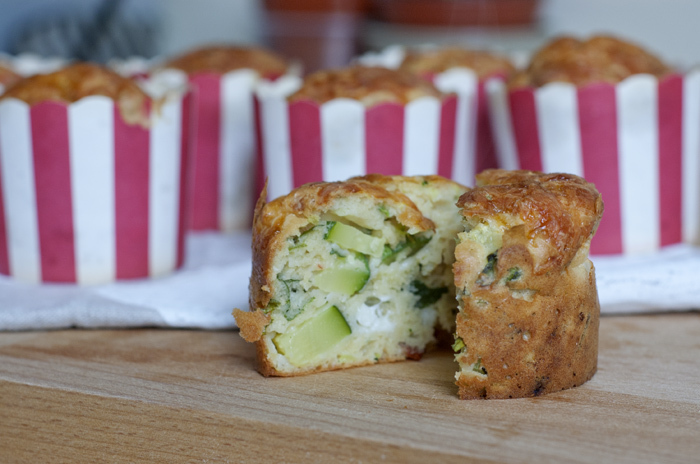 Here it is out of the case – they are browned all around and there are nice pockets of cheese and of course, the chunky zucchini. You could add spices if you like (paprika, chilli powder) or something meaty (bacon, salami) but I think this is a great basic combination.